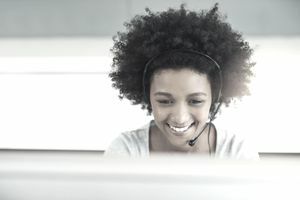 Based in Denver, CO, SYKES Home (formerly Alpine Access) provides call center outsourcing to clients using only home call center agents in the U.S. and Canada. It employs 5,000 work-at-home agents in 40 states and Canada. (Scroll down for a list of states.) It hires its call center agents as employees (not contractors) and offers benefits like a limited health care plan and 401K. Most of the work-at-home jobs available at SYKES Home are for call center agents. However, there are a few corporate jobs, often training related, that are available. The application process is entirely online. It takes 7 to 10 days. Check that your computer and office meet its technical requirements. Check out the typical call center technical requirements. Create an application account. Choose jobs that you are qualified for. You will then get step-by-step instructions on what to do next. You will be asked to select your availability, complete a profile, take an online course, which explores what it's like to work as a call center agent for the company, compose an application essay, and complete a skills exam. Then, if selected to move on with the process, you will complete a phone interview. At this point, you will or will not receive a job offer. If you are offered a position, SYKES will conduct a background, drug, and credit check for which you must pay $45. If your state is not listed, find a call center job in your state or a call center job in Canada. For more profiles like this, see these work-at-home call center company profiles.